At the core of the Creative Commons are the CC licenses. The Creative Commons approach addresses important issues for copyright and intellectual property, but the CC is more than just its licenses. The creation of new pieces of legislation is often a long and laborious process. It is moreover, an ongoing process, catering (supposedly) for the changing needs of the people, with many areas of law regularly amended – EU law, for example, has seen more than 631 legislation amendments in the past year alone. As far as copyright legislation is concerned, a new EU directive is due to take place next year and Canada, along with other countries, is actively preparing for new copyright reforms and addressing the need for change. In contrast, Copyright Law appears rather stagnant in the UK, where the laws have not changed in 15 years, forcing artists who want a different and more accessible type of licensing to work mainly under the Creative Commons… but what is the point in the Creative Commons if it offers little legal protection and previous case law? One of the key questions about the relationship between Copyright Law and the Creative Commons is concerned with reliable protection and enforceability for the author. In a society where we are accustomed to abiding by the Law and using the Law to enforce our agreements and protect our rights, it is perhaps more alien to witness to the rise of this “legal alternative”… but the Creative Commons is undoubtedly happening…and working nevertheless as there are now more than 1.2 billion pieces of CC licensed works in the world. In terms of the need for better legal protection, many of the speakers at the Creative Commons Summit (“the Summit”) have taken the view that the lack of protection has frankly not been an issue. They have recounted instances where artists have found Copyright Law not only unhelpful, but completely irrelevant to their work. Instead, they have embraced the Creative Commons alternatives with open arms. Jesse von Doom, Executive Director of CASH music, explained that many artists choose to specifically apply Creative Commons licenses (“CC Licenses”) to their work to encourage brand exposure and interaction. Through applying CC non-commercial licensing to a few songs, more people were able to access the music with the author’s intended permission rather than illegally commit piracy when an author has not been able or willing to license work through Copyright. At the same time, they found an increase in iTunes downloads when a few songs were openly available to sample. 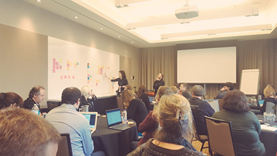 Furthermore, there has been much discussion at the Summit with regard to the Creative Commons being much more than just the licenses but as a network of skills and a common philosophy of sharing. In a talk by Anna Mazgul, she envisioned a future Creative Commons being a platform of big thinking and where individuals would approach the community of like-minded experts with their needs. In some ways, the Creative Commons has become a lot more than just a provider of licenses in this way already, as shown in projects such as Open Source Seed Initiative, where genetically modified seeds are placed in the public domain for public use and collaborative development rather than exclusive ownership and corporate gain. The very survival of the CC licenses as a method of governance also in itself illustrates the strength of its licenses and its support from the community regardless of the lack of ‘official’ legal enforcement. In part, this is due to the nature of the CC Licenses being more contractual than that provided by the umbrella of Copyright Law. Whilst the rare case of CC-License disputed work in court has indeed been reported to have been successfully pursued on contractual grounds and seemingly supporting CC Licenses, it was further suggested at the Summit that there are still many cases of CC licenses being breached. However many of these cases do not reach court as the aggrieved individuals simply do not have the resources to legally respond. 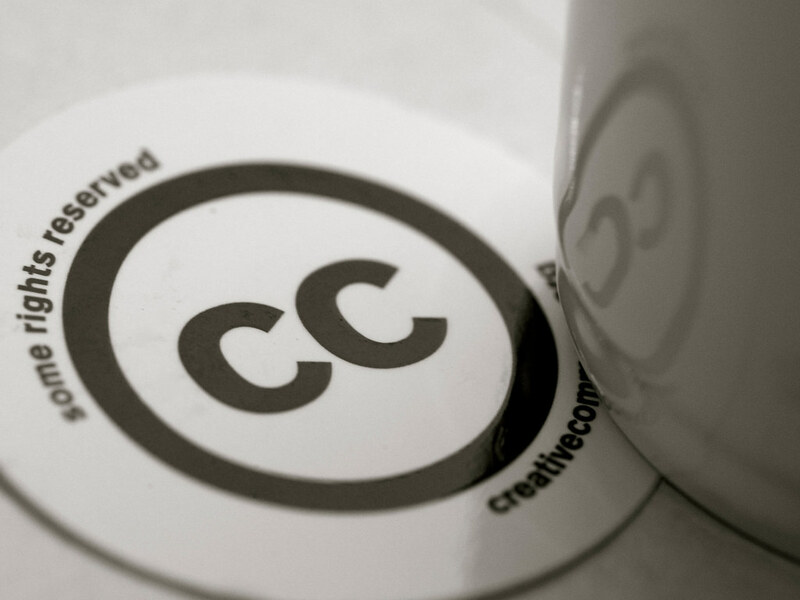 The Creative Commons itself are unable to offer legal support to its users. Nethertheless, the lack of alternatives has driven support for the licenses. The Creative Commons, therefore, appears to be a great initiative in filling the gap left by Copyright Law. But there appears to be every need for the Creative Commons to give more guidance to authors on how to protect their work in different ways and at new levels which Copyright Law is simply unable to offer. However, at the same time, whilst the Creative Commons is not perfect in terms of legal protection or enforcement for its licenses, other roles and further needs for the Creative licenses have emerged. The possibilities of a fully functioning network of skills and platform for collaborative projects, using material from the public domain, means that the Creative Commons has become more than an “alternative to Copyright Law”. Stefanie Lo (@1StefanieLo) is a LLB law (with Spanish Law) student currently studying in Salamanca, Spain with the Erasmus programme. Her focus is on the ‘Future of the Commons’ track, to channel her particular interest in the barriers to copyright law and how the Creative Commons is seen to be an easier alternative for authors to protect their creative work. She is also interested more generally in what is determined as ‘original work’.